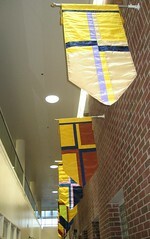 beautiful banners that run the main hallway. so you will see them again. But, I think they look really great.